The Fishermen at Trafalgar Studios for Limited run tickets available now! After two sold-out runs at the Arcola Theatre and an extremely successful UK tour, Chigozie Obioma's The Fishermen is coming to London's Trafalgar Studios 2. The Fishermen tickets have been in increasingly high demand at each of the runs, and the Trafalgar Studios run looks to be no different. Make sure you get your tickets early to avoid missing out on this incredible show. Ben and Obembe live carefree lives in their small Nigerian town. They sneak off to fish in the river even though it has been forbidden. They live their lives in relative calm and normalcy. This all changes when one day a madman makes a prophecy that will change their lives, and the lives of their family forever. This touching journey through memory, relationships and fate comes to life on the Trafalgar Studios stage guaranteeing to keep you on the edge of your seat. 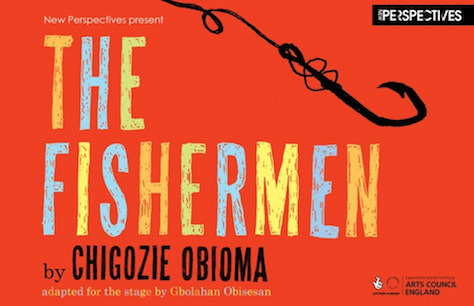 The 2015 Man Booker Prize-shortlisted novel by Chigozie Obioma, The Fishermen, caught the attention of the literary world. Now considered one of Africa’s major new voices, Chigozie Obioma's work was very quickly recognized for its stage potential. This powerful allegory of brotherhood, vengeance and destiny was crafted into a fast-paced two-hander by award-winning playwright Gbolahan Obisesan. The Nigerian British director, actor and writer was made the Young Vic Genesis Fellow and Associate Director in 2015. His work has won a Jerwood Directors Award and a Fringe First for best play. He has also been nominated for an OffWestEnd Theatre Award and an Olivier Award. Casting for the production will be announced in due course. Tickets for The Fishermen will be available for 5 weeks only. Do not miss your opportunity to catch this incredible show as it comes to London's Trafalgar Studios for an extremely limited run. Book The Fishermen tickets now to ensure the best seats at the best prices and guarantee you won't miss out on this tremendous show. This production includes violence, flashing/strobe lights, haze and the consumption of cashew nuts.